‘Globalisation’ is the term used to describe the increasing economic and social interdependence between countries. Shifting patterns of health and disease are associated with globalisation. Global health refers to a health issue that is not contained geographically and that single countries cannot address alone. In response to globalisation and global health issues, nurses practise in new and emerging transnational contexts. Therefore, it is important that nurses respond proactively to these changes and understand the effects of globalisation on health worldwide. 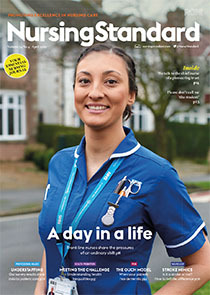 This article aims to increase nurses’ knowledge of, and confidence in, this important area of nursing practice.